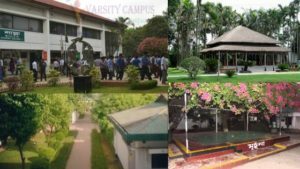 BRAC University is now the top-ranked private university in Bangladesh. Sir Fazle Hasan Abed is the founder of University. He established BRACU in 2001. Sir Fazle Hasan Abed is an active social worker. He is also the founder of BRAC Bank. The tagline of this university is “Inspiring excellence.” They work as said in their slogan. Recently some of the students of BRACU achieve a great achievement. They together build the first nano-satellite from Bangladesh. They also launch it in the space from SpaceX in a mother Rocket named Falcon-9. With the technical help of a Chinese University KIT ( Kyushu Institute of Technology ), they made it. BRAC university campus is currently running their academic works from their Mohakhali. There is a beautiful canteen as common-room on the fourth floor. This canteen view makes this campus remarkable. It also has a permanent campus in sever. They call it as TARC. It is also known as residential campus. Every student are bound to go TARC for a semester. They learn the culture and self-dependent skills from there. Every year the university takes fresher for undergraduate in three times. These are BRACU Summer semester, spring semester and fall semester. 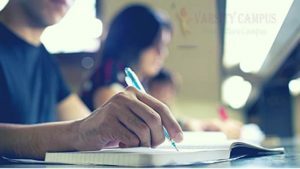 The admission seekers have to go through a procedure of written and viva exam. In viva exam, they also look for the candidates’ English skill. All the admission exams also held in English. They focus on English very well. All the study mediums are also English. You must intellectual to the viva board. They can ask you about anything surrounded by you. You have to handle it technically. This is their excellence. If you do very good on the written exam and your viva was not good. There is a chance for you. They will offer you a BRAC Pre University Course. But this will only happen when only your English is weak in the viva. In this course, They will teach you all about English as well as fluent English. The condition of this course is, you have to attend at least 90% classes during this program. Don’t worry this course credit will add to your primary course credit later. BRAC university has many affiliations with foreign countries. Especially European countries and also worldwide. Currently, they providing certification in Engineering, BBA and BSC for undergraduate students. They are also offering postgraduate and diploma certificate. The University tuition fees structure based on credit. You have to earn credit to finish undergraduate. BRAC university takes 75$ per credit for all courses and 81.25$ per credit for B.Arch. Cost depends on how many credits are there in a course. You can also get financial facilities based on your academic performance. To apply on this university, you have to have a minimum CGPA of total 6.5 in both SSC and HSC. The requirement may vary based on subjects. 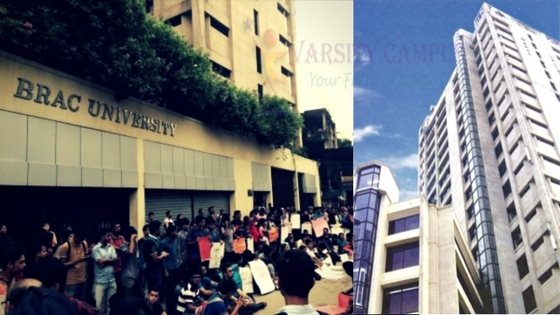 The post about BRAC University Admission And Campus Review is very helpful. Admission information about private universities cannot be found online. In this case, this post will help a lot the students who want to get admission in BRAC University. One of the best private university in Bangladesh. Thanks a lot for sharing this article. Hope you will share more article with us in future.